So a few years ago I read Pillars of the Earth by Ken Follett. 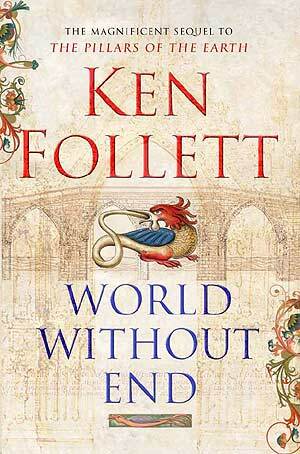 I thought it was pretty good and decided it was about time I picked up the sequel, World Without End. Here’s what I thought. I enjoyed the story, the characters, the vivid portrayal of life in the middle ages. The time period is one I like and this book brings it to life in a way many other books fail to do. I really understood the traditions of the time, both old and new, and the struggles that the characters faced. On the other hand, I failed to engage fully with the female protagonist, Caris, as I found her rather self-centred and unusually modern for the time period. While I’m sure there were some women who felt as she did in the middle ages, she is so different from what I expected and so opposed to my own mind that at first I had difficulty connecting with her. But as the story went on, she improved for me. This book is good for anyone who likes rich history, complex plots, a bit of mystery, and lots of conflict. Be aware, however, there is a fair bit of the seedy underbelly of life in there, too. That being said, I’d recommend World Without End as an entertaining heavy-weight read. Thanks for the review! I’m in a book club, so I’m certain this book will come up for us to read! Thank you so much for your detailed thoughts of this book. I appreciate your insight.